Our Storm Shutters are designed to give your family and business protection from broken glass and debris during even the harshest of storms. Protect your home or structure from harsh winds from hurricanes, tropical storms, Nor’Easters and more. Our custom storm shutters are also a great level of added security for your property. 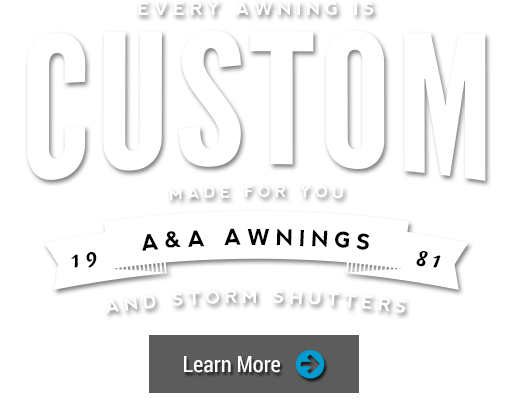 At A&A Awnings and Storm Shutters, we work with you to cover your outdoor living space so that you can enjoy your time outside of your home. Whether you are a business owner or property manager, we can help you lower your utility bills by up to 40% and keep the sun out of customer’s eyes. Known by their traditional Caribbean design, Bahama shutters combine style and functionality with top-hinge exteriors that swing out letting in breeze and light. 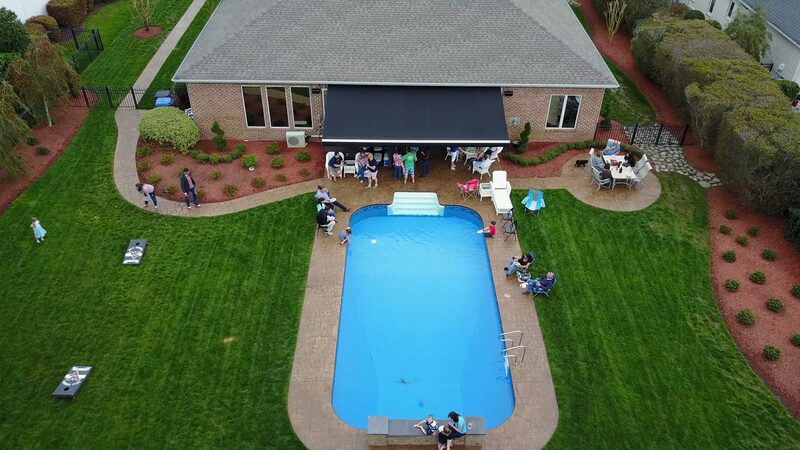 Escape from the sun and rain with our unique retractable awning system. 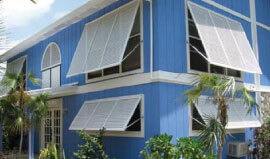 At A&A Awnings and Storm Shutters we make each awning custom to your needs. Are you interested in extending your backyard fun? Want a solution to the heat, sun, rain and bugs? 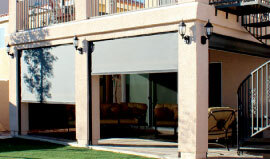 We offer the best retractable awnings for the dollar. 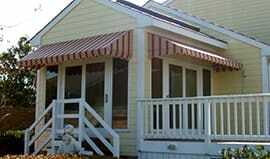 Our retractable porch awnings and fixed awnings can add more living space to your home. Adding a custom designed and built motorized awning will make it feel like you’ve added an entire room to your house at a fraction of the cost. And don’t forget, we offer motorized screens. 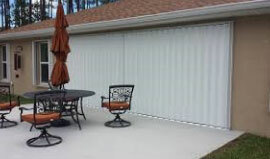 Depending on your unique needs, motorized screens can provide solar shade and keep out bugs, making your outdoor area an oasis. Our strong and easy-to-operate storm shutters and hurricane shutters will ensure your home is safe in even the toughest weather—up to a category 5 storm. 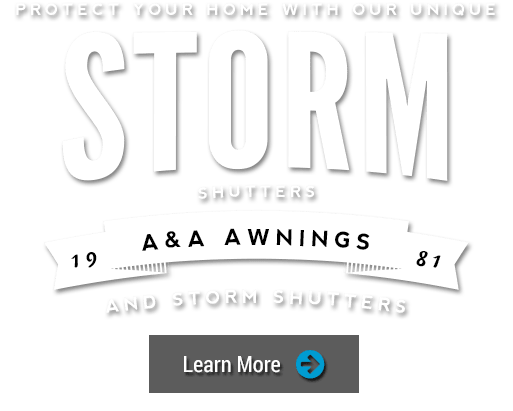 Additionally, our storm shutters, hurricane shutters and security shutters help keep your home or vacation property safe from intruders, adding to your property value. 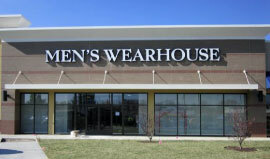 Looking for awnings for commercial buildings or awnings for home? 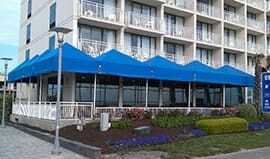 Whether you need commercial retractable awnings or fixed awnings for your business, or retractable awnings or motorized screens for your house, we have the best products at the best value pricing. All of our top-quality products are custom-made—you choose the fabric, railing, color, and size options to ensure you get exactly what you want. After three and half decades in business, we have the knowledge and experience necessary to determine what kind of awnings, storm shutters or motorized screens will work best for your home, suit your needs, fit within your budget, and make your friends jealous. Most importantly, we are committed to ensuring that every one of our products is installed right the first time. 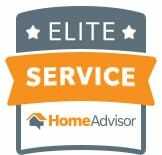 We pride ourselves on our prompt and professional manner and we stand by the reputation of excellence we have cultivated for over thirty-six years. 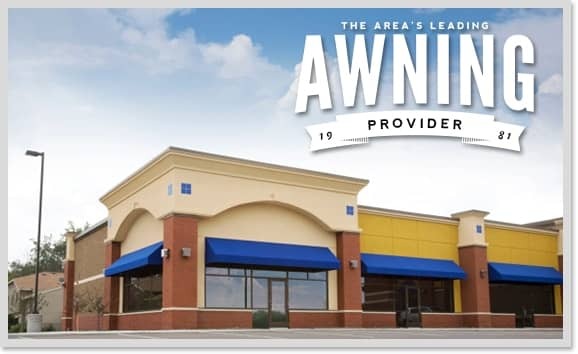 Whether you’re interested in commercial retractable awnings, home retractable awnings, fixed awnings for your business or fixed awnings for home, A&A Awnings and Storm Shutters will deliver the best value, service and product. Most of our customers say they wish they had made the decision to get their retractable awning sooner—so don’t delay. Give us a call right away at (757) 463-1446 to learn how a well-designed awning, home storm shutter, stylish Bahama shutters or motorized screen can enhance curb appeal, offer protection from the elements and increase the value of your property. 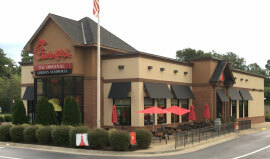 We’re also happy to serve the Outer Banks (OBX) and Dare County of North Carolina with all of our security shutter, storm shutter and custom roller shutter, as well as awning services. Give us a call if you have questions about hurricane shutters or storm preparation.